Adults with developmental disabilities in San Mateo County have a robust resource with all the services and supports needed to take advantage of everything this rich area has to offer. Provides training, placement and coaching support so clients can hold meaningful jobs and develop a path to career success in the community. For clients who want more life experience before taking on a full-time job, The Arc offers a balanced schedule of classes, cultural activities, life skills training and volunteer or part-time employment. Provides support so clients can make a smooth transition to living independently, with training and direct support for all the tasks of daily living, from learning how to shop and cook healthy meals to paying bills and cleaning. Our Housing Advocacy team works to provide access to safe, affordable housing so that clients can live on their own, in their own homes, in their own neighborhoods with a sense of belonging, security and community. ArtReach Studios provides a unique arts academy environment where adults with developmental disabilities can pursue art as a means of personal expression and to develop new skills, connect to a larger art community and realize financial gains through sales of their work. Students in this innovative program get support in pursuing a major course of study, as well as encouragement to try different art forms in expressive, visual and media arts. All classes are taught in our Daly City studio by instructors from The Arc, with guest lecturers and community artists augmenting the curricula.  For more information about our The Arc San Mateo County and ArtReach Studios, email Lance Scott, Director of Arts, Recreation and Socialization at lscott@thearcsf.org.